According to UN World Population Prospects 2017, more than half of the world’s population lives in countries where the fertility rates are rapidly reaching dangerously low levels. N-IUSSP, a demographic research publication, reported that “half of the world’s population lives in countries with below replacement fertility (BRF) i.e. with a Total Fertility rate (TFR) of 2.1 per woman.” The immediate effects of such scenario are a smaller working population, a larger aging population in need of support, an expectation for those of working age to work longer hours and retire late, and childless societies that are more prone to depression and unhappiness. Taking a look at the most populated countries — for example, China, India, and the United States — the total fertility rate of China has reached 1.60 as a result of the country’s draconian One-Child Policy. The Chinese government relaxed this horrific policy in 2016, adopting a Two-Child Policy due to increased aging population and a decrease in working population. Recently the Chinese government considered offering incentives to couples willing to have second child because the Two-Child Policy did not result in the baby boom expected by the Chinese government. The second largest country, India, reached a fertility rate of 2.2 by 2016 (NFHS-4). However, a closer look shows that out of a total of 29 states and 7 union territories, 24 have reached sub-replacement fertility levels of 2.1 and below. Only two states –Bihar and Meghalaya — have a replacement rate over 3.0. Similarly, the United States reached a fertility rate of 1.84 in 2016 and dropped to an all-time low of 1.76 in 2017. The fertility rate of Japan reached 1.4, resulting in ‘Kodukushi’ — a phenomenon of dying alone and undiscovered. This problem is directly related to low fertility and aging. Russia reached a replacement rate of 1.62 in 2016 as did other so called over populated countries like Bangladesh, Brazil and Indonesia. Despite such disturbing demographic changes, the United Nations and its agencies continue to push for population control under different banners. The perfect example of this was when two Planned Parenthood affiliates were recently honored at the UN for their population control efforts. Another is UNFPA’s historic involvement in China’s forced abortion atrocities, as well as World’s Bank’s involvement in India’s coercive family planning program. In fact, it was the United Nations Advisory Mission that visited India in 1965 which recommended target-based IUD insertions and sterilizations. As many as 18 million sterilizations were to be achieved within five years. Presently, the UNFPA has been collaborating in FP2020, a campaign to expand contraceptive access and use. Working in partnership with international abortion advocates and local governments, UNFPA trains midwives and non-medical practitioners to commit abortions and to provide IUD insertions in countries like Uganda, Bangladesh, and Myanmar. UN agencies’ humanitarian efforts are heavily focused on contraception, and have tried to include abortion under the banner of ‘sexual and reproductive rights’. But in reality, these efforts are always connected to population control, not women’s rights. Conversations at the UN are often tainted by a push for population control. Earlier this month on July 11th, campaigns were organized outside the UN asking people to sign petitions calling for the UN Secretary General to promote a small family norm. At the same time, in an event inside the UN at the High Level Political Forum (HLPF) organized by the UN Major Group for Children and Youth, the guests called for a renewed push for a ‘one child policy’ to attain sustainable development and safeguard the environment. Currently, the UNFPA is reviewing the possible use of Blumenthal’s Post-Partum IUD (Long Acting Reversible Contraceptive) which is reported to be used for up to 12 years. This IUD is clearly not for developed nations but is targeted toward developing countries where women already suffer from anemia and a lack of health facilities. 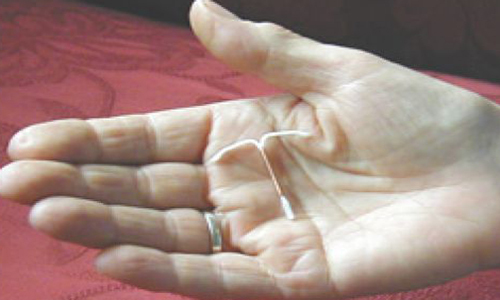 One reason for this is due to possible difficulty in obtaining FDA approval for the IUD. Once reviewed, the device will be used in UNFPA funded programs in sub-Saharan Africa and South Asia, beginning with India. With such promotion of contraception, one might never guess that one in every four couples in developing nations suffers from infertility. The global trend of sub-replacement fertility levels combined with the increase in infertility is quite worrying. But the UN is still fixated on population control as the solution, no matter the problems discussed.